Obituary for Danette Leslie Niceswander | Langeland Family Funeral Homes, Inc. Passed away Tuesday afternoon, November 6, 2018. Danette was born August 23, 1933 in Augusta, MI the daughter of Kenneth and Hazel (Wright) Smith. Prior to her retirement she was employed for several years with Kal-Equip in Otsego. 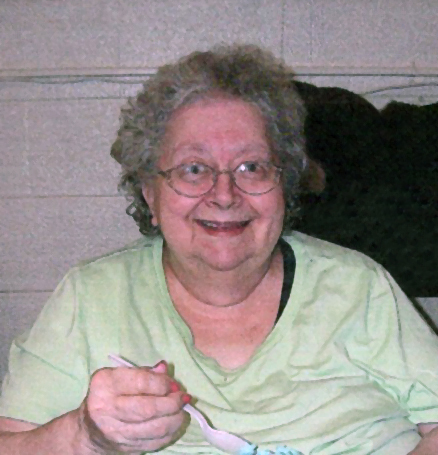 She enjoyed painting, playing bingo, collecting owls, and spending time with her family and friends. On January 13, 1954 she was united in marriage to her loving husband Eugene, who preceded her in death on September 1, 2014. She was also preceded in death by her parents; and a brother, Sanford Spade. Danette is survived by her children, Jack (Rosemary) Niceswander, Danette Elwen, Tim Niceswander; 3 grandsons; several step-grandchildren and great-grandchildren; and several nieces and nephews. There will be no visitation. A private family burial was held in Ft. Custer National Cemetery. Memorials may be directed to the Alzheimer's Association or Wings of Hope Hospice. To view Danette's personalized guestbook please visit www.langelands.com.